Hi everyone! 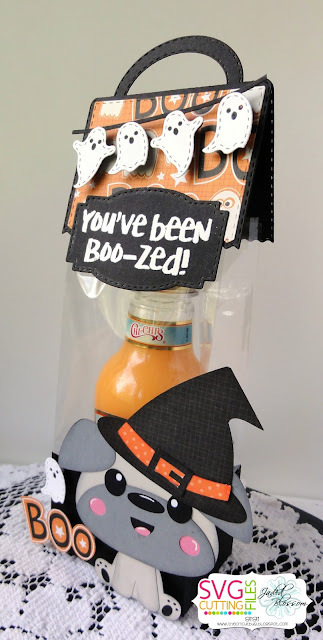 This is GiGi from The Cricut Bug and I am sharing this fun "Adult" Halloween treat bag I made. I started this project with the SVG Cutting Files Decorative Edge Box for Gussets and cut it out with my Cameo. I added a Gusset Bag that I placed a bottle of Orange Cream Liquor into and added the topper using the Ric Rac Topper Die. 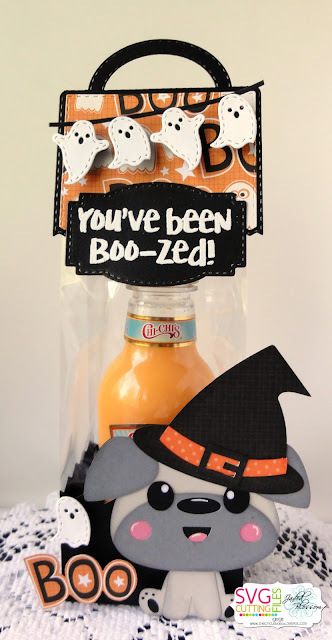 I added the ghost banner cut with the Halloween Banner Dies and heat embossed the sentiment from the Halloween Treats 3 stamp set onto a tag cut with the Label Shape Dies. 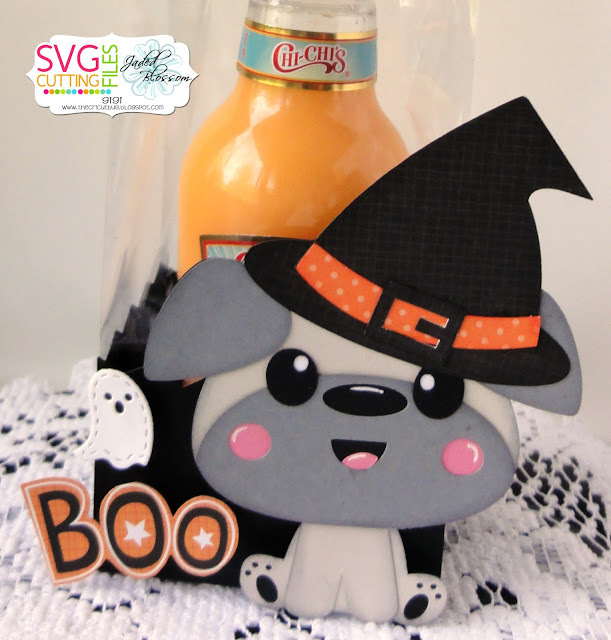 On the bottom I added the SVG Cutting Files Chibi Puppy Witch Hat on pop dots, another ghost from the Halloween Banner Dies, and the "Boo" from the decorative paper on the topper. This is to stinkin cute!!! What a great treat for any adult ... super cute!! You Had Me At Pumpkin Spice! 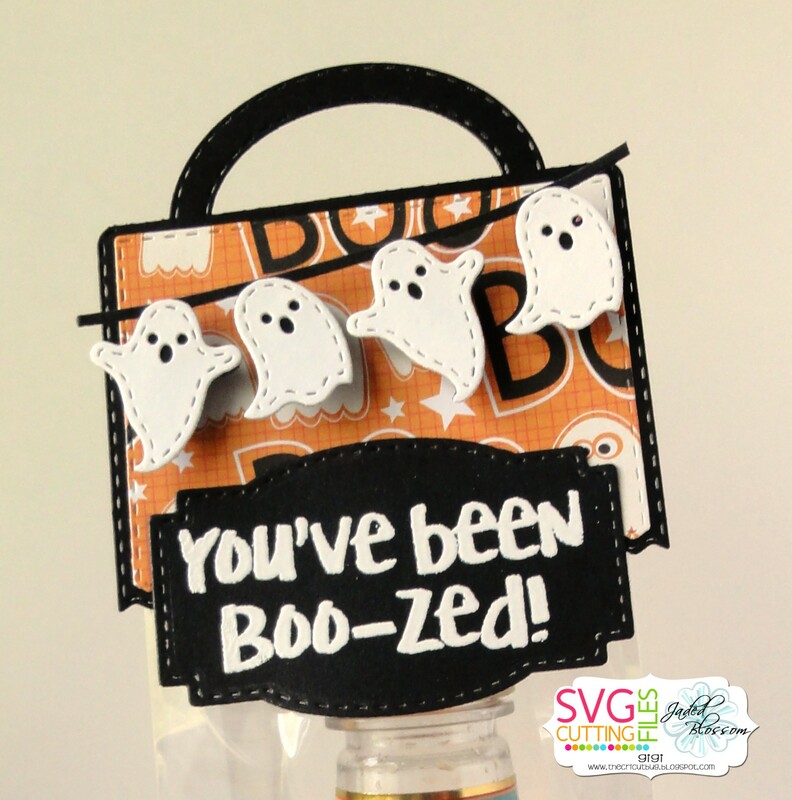 October Stamp Release Blog Hop! October Stamp Release- Sneak Day 1!